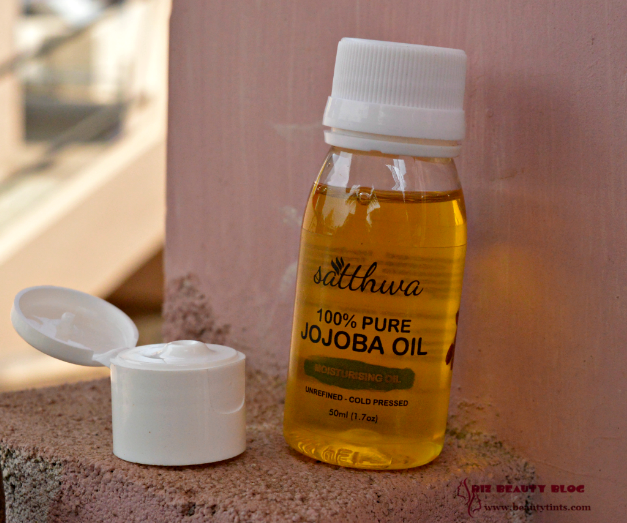 Sriz Beauty Blog: Satthwa 100% Pure Unrefined Cold Pressed Jojoba Oil Review!!! Satthwa 100% Pure Unrefined Cold Pressed Jojoba Oil Review!!! During pregnancy, my skin and hair were amazing but after delivery as the hormones go back to their original level, I lost so much hair initially but when started using Satthwa Premium Hair oil again, it slowly stopped my hair fall to a major extent.You can check out the review of the oil here.That's how my hair problem is sorted!But what about my skin?which started looking dull and dehydrated.So, I started using Jojoba oil from Satthwa for my skin, which is launched recently. 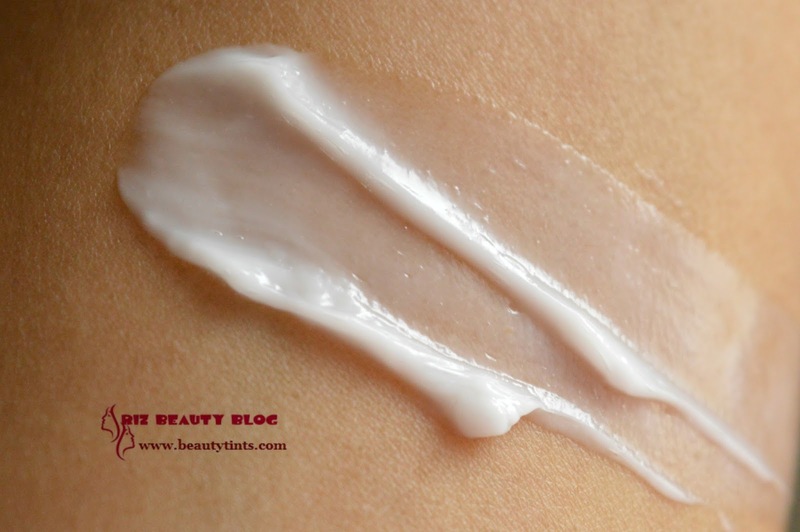 It's been almost a month since I am using it.Check out the complete review to know how it worked for me! Packaging :This oil comes in a simple yet sturdy transparent plastic bottle packaging with a screw cap for traveling & storing purpose and an extra flip cap for daily usage. My View On the Product : Jojoba oil is known for its excellent moisturizing properties and it is an important ingredient in most moisturizing creams and lotions available in the market! 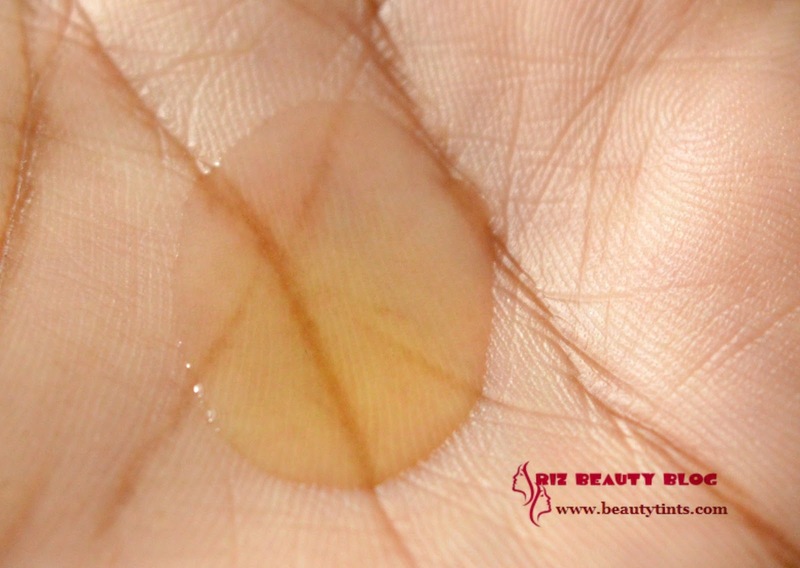 Its a great carrier oil to use along with essential oils.It is pale yellow in color and has a nutty fragrance.It feels heavy but gets absorbed easily.I use this oil during night or evening time.I take just few drops,warm it up by rubbing between my palms.Then apply to my face with patting motion.It gets absorbed immediately without leaving any greasy or oily feeling on the skin.It is very light on the skin yet super moisturizing from within.I could see a great improvement in the skin especially in terms of hydration after using it for few days itself.It became soft and supple now. The Jojoba oil has anti-inflammatory and anti-microbial property and so it helps in reducing inflammation as well as Acne.I use 1 drop of tea tree oil mixed with few drops of Jojoba oil and apply it to acne and pimples.Within 2-3 days,pimple size reduces and within a week,it vanishes completely,without leaving a mark.As I am in my late 20's,it is essential for me to start anti-aging regimen to prevent fine lines and wrinkles,Jojoba oil acts as an excellent anti-aging oil.It also removes Makeup wonderfully,which makes it a good Makeup remover too!So,it serves as an All-in-One oil! Not only for skin and body,but Jojoba oil can be used for Hair problems like Dandruff,Hair loss and also for strengthening brittle Nails. 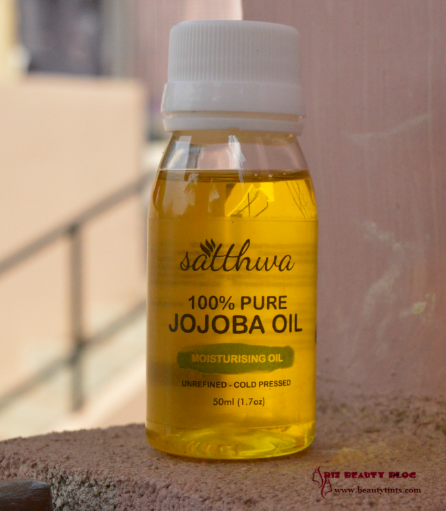 The Satthwa Jojoba oil is 100% pure,unrefined and cold pressed.So,it is rich in Vitamin E and B,which are the main sources of hydration and nourishment to the skin.It is a bit pricey but it is worth every penny! 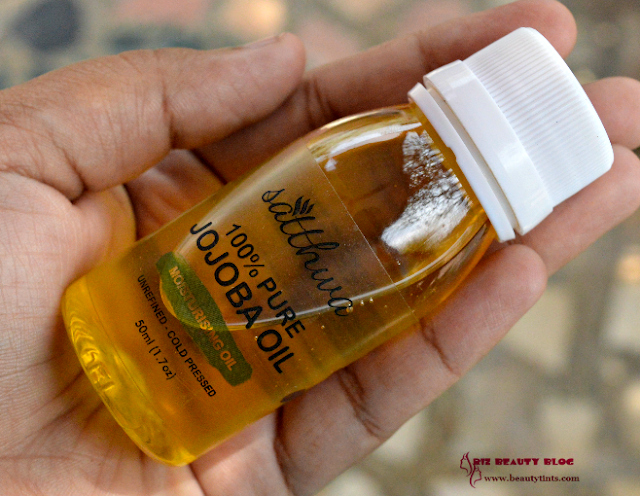 Final Conclusion about Satthwa 100% Pure Jojoba Oil Review!!! : Those who love pampering their skin,hair,body and nails at home with single product without using multiple creams and lotions should definitely give this Jojoba Oil a try!! !Especially new mommies like me,who do not have much free time should use it! You can buy it from Flipkart and Amazon!